Description: Part fact, part fiction, Cast a Giant Shadow powerfully dramatizes Israel's heroic 1947-48 struggle for independence. 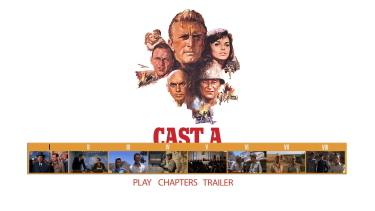 Both realistic war story and passionate romance, it features an all-star cast including Kirk Douglas, Senta Berger and Angie Dickinson, as well as Yul Brynner, John Wayne and Frank Sinatra in notable supporting roles. After a brilliant career in the U.S. army, WWII hero and Jewish American Mickey Marcus (Douglas) is called to the new state of Israel to build an army capable of withstanding its Arab foes. 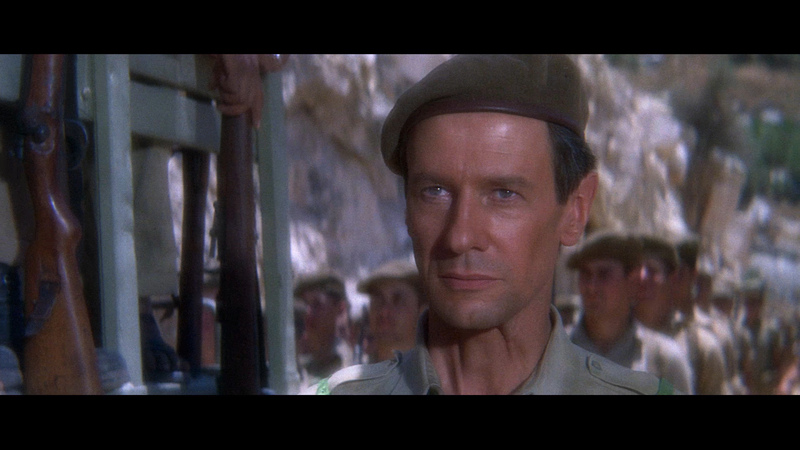 Against the wishes of his wife (Dickinson), Mickey makes the journey and begins transforming a ragtag underground army into a first-class fighting machine. But as the threat of war looms, Mickey must also confront his growing attraction to beautiful activist Magda Simon (Berger). Directed by Melville Shavelson (The Five Pennies). 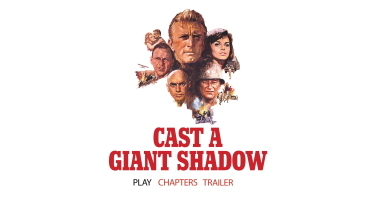 Cast a Giant Shadow is a big-budget, glossy action/adventure story set at the time that Israel became a nation. 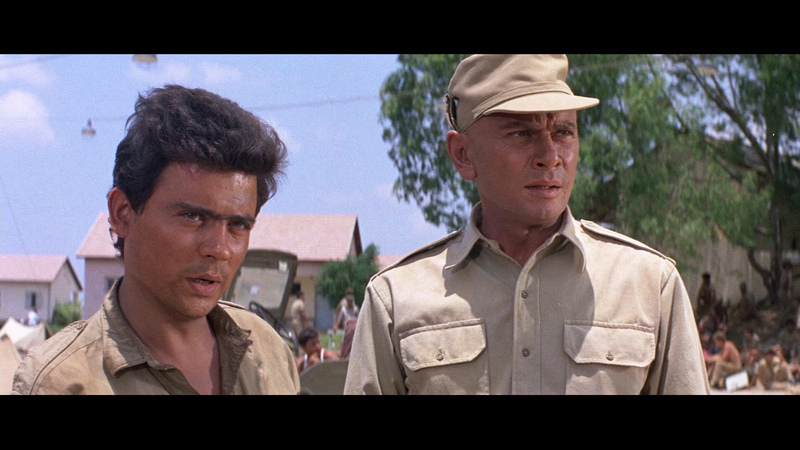 American Army officer Colonel David Marcus is recruited by the yet-to-exist Israel to help form an army. Marcus is conflicted because of his sudden appreciation for his Jewish heritage. Realizing that each of Israel's Arab nations has vowed to invade the poorly prepared country once the partition has been made, Marcus is made commander of the Israeli forces just before the war begins. 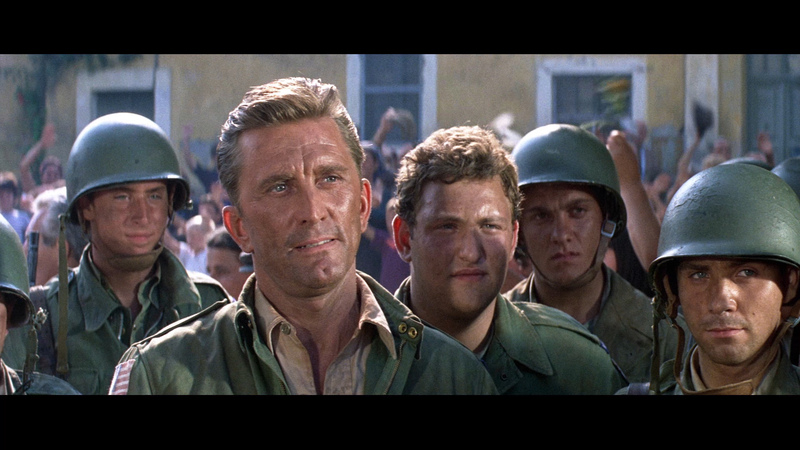 The all-star cast includes Kirk Douglas, Senta Berger and Angie Dickinson. Aldo Tonti provides the beautiful photography by Aldo Tonti, and Melville Shavelson directs. 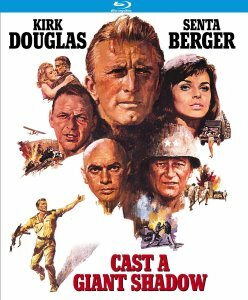 Cast a Giant Shadow (1966) is the true-life story of the American soldier David "Mickey" Marcus. In 1949, the British pulled out of the newly formed country Israel, leaving it poorly defended. 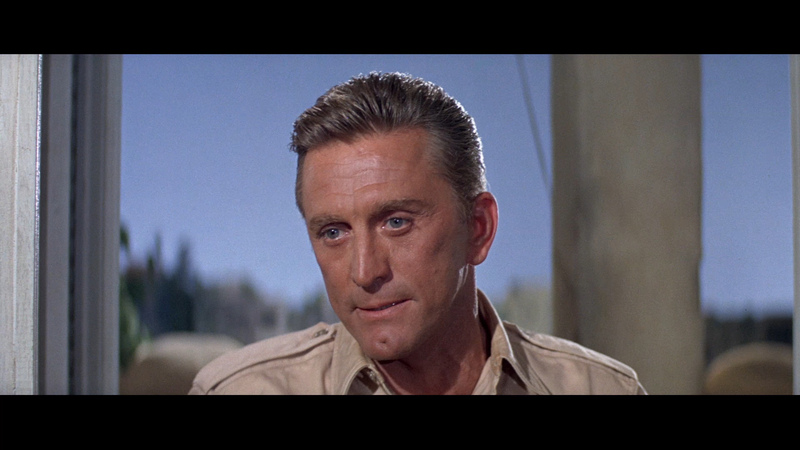 Marcus (played by Kirk Douglas) is asked to shape the untrained and disorganized Israeli army into a more potent force. (The real-life Marcus did notable duty in WWII, including parachuting during D-Day even though he wasn't trained as a paratrooper.) 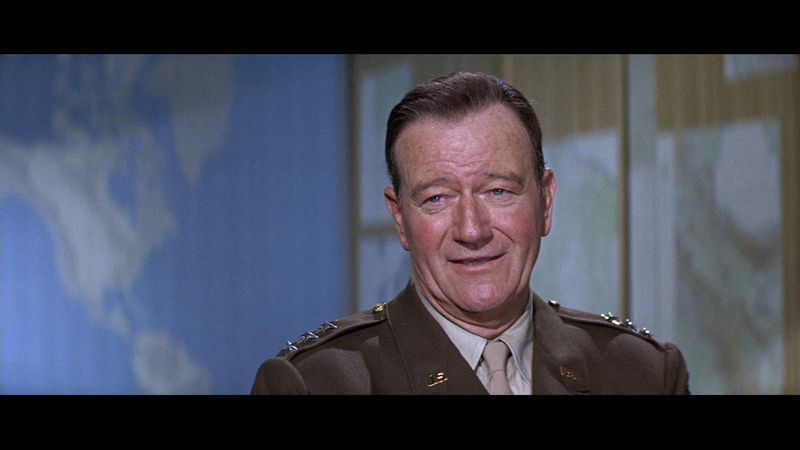 Over objections from his US commander (John Wayne) and his wife (Angie Dickinson), Marcus accepts. 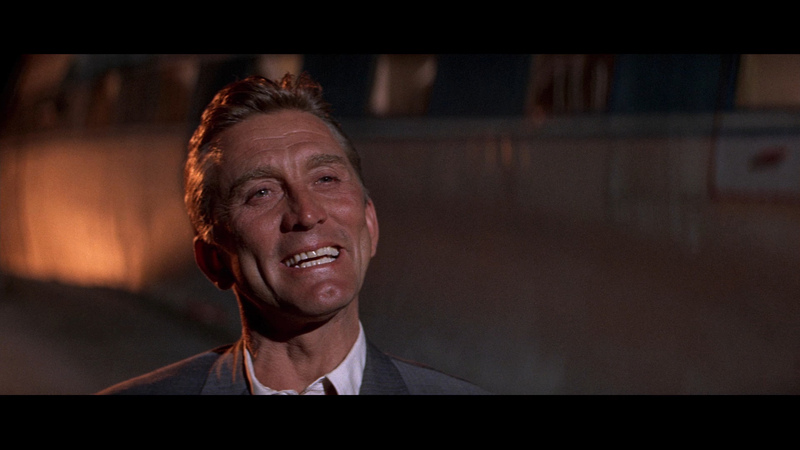 In Israel, he finds quite a challenge in negotiating the personalities and conflicts involved from an American daredevil pilot (Frank Sinatra) to a wise politician to an attractive freedom fighter. To top that off, Israel suddenly finds itself involved in a full-scale war, giving Marcus and his troops their toughest test. Cast a Giant Shadow has arrived on Blu-ray from Kino Lorber. 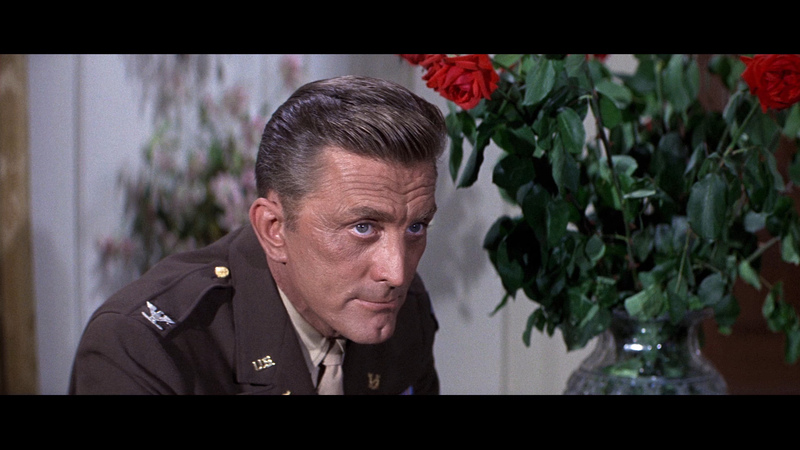 The 1080P image looks solid despite the single-layering, for the 2 1/4 hour film, and low bitrate. It is bright, with decent contrast and some depth showing. There is some very minor edge-enhancement but not enough to shake your fist at. 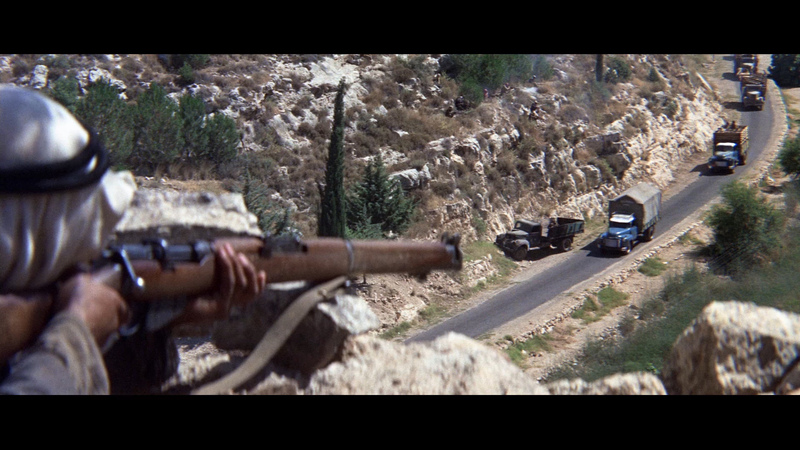 Close-ups can look impressive and the 2.35:1 has some scope appeal. Despite the lack of robust technical transfer - the visuals are acceptable and presumably wouldn't advance too far with dual-layering. This modest Blu-ray seems to do its job in the video-front, with a clean, bright HD image - if less dynamic than some may have anticipated. Kino Lorber go for a DTS-HD Master stereo track at 1635 kbps. It sound very competent handling the aggressive sequences exporting some depth and in the Iconic Elmer Bernstein's (Hud, To Kill a Mockingbird, Summer and Smoke) score which rises, dramatically, in many scenes. There are no subtitles offered and my Oppo has identified it as being a region 'A'-locked. I didn't really enjoy Cast a Giant Shadow. 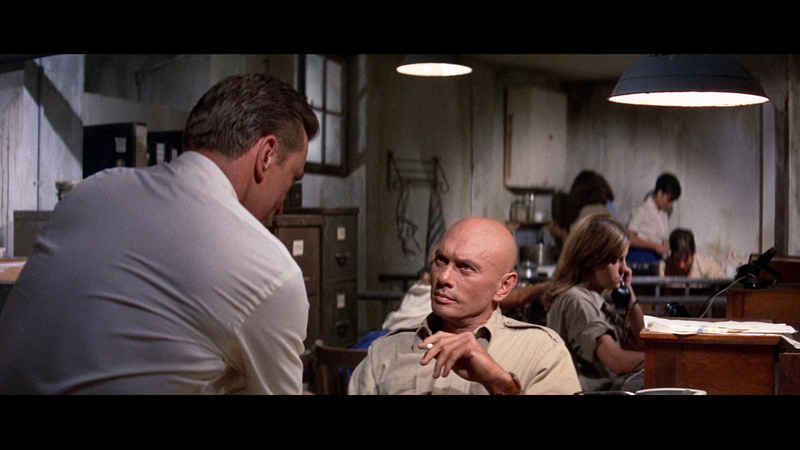 There are plenty of similarities to Otto Preminger's 1960 Exodus., which I was also indifferent to. 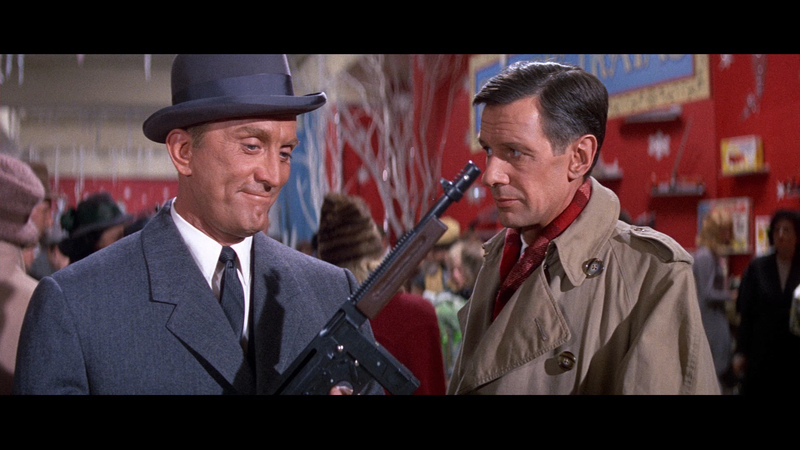 The performances were, like the film itself, a bit flat and the overall tone dour. 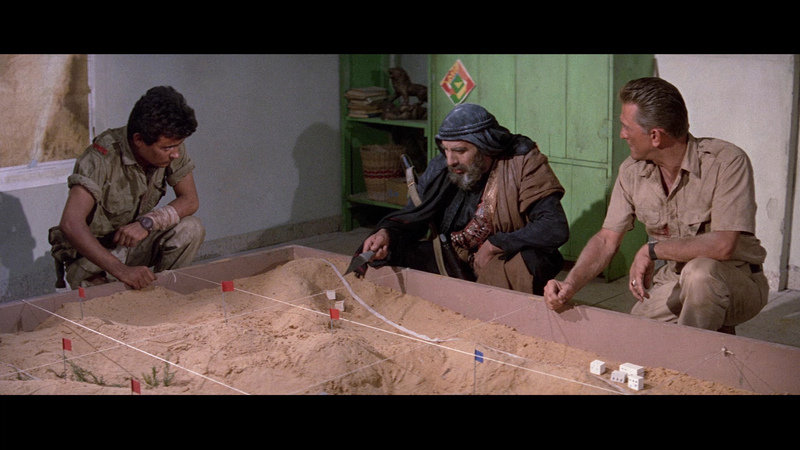 The Kino Lorber Blu-ray is another competent bare-bones package. Many may appreciate the film more than I did, and this 1080P seems to best way in your home theatre.